Yes, at least 5 nations (trading with each other) are directly involved with elevating the status of their currencies for trade purposes (which makes sense), and avoiding the USA dollar (at this point it is a strut against the USA led by Russia that may cease tomorrow). Yes, this could lead to the USA Dollar no longer being the World Reserve Currency. And, the whole world is watching and trying to sort out what type of puzzle this presents and mostly how to protect against it. This currencies-status developmental process is not yet a permanent done deal, in the sense of forecasting about what effects it may have five to twenty five years forward. It is more, right now, like a gesture that is happening. Why do I suggest this? First, World Reserve Currency Status is based upon what the world believes is HONEST-TRUTHFUL asset resources that are the basis of currency valuation. This is why Russia labeled the USA dollar as a “petro dollar”. The USA may well be the “most honest” super-power nation in the world. But, what about China? Is China (viewed by most Americans as being secretive) an honest super-power? What about Russia? USA may well be hated by many nations for its appearance of arrogance and intrusiveness into the political affairs of some countries; but with a number of countries Russia may be more, hated. Right now the clear World-Reserve Currency Status winner is USA because it is open and honest about its debts and in relation to its assets (and this is all provable by its corporations overseas that are helping other nations develop their resources, including recently Russia (after its economic collapse) and China. Yes, out debt creates our vulnerabilities; but our honesty and openness, as worrisome as it is within the world, is a strength that will probably keep the Dollar’s World Reserve Currency Status continuing for much longer than we may anticipate. At least, you know what you got. Second, dozens of trade countries have done what USA has done with its indebtedness. Most of Europe is highly indebted, just like USA (except that many European countries do not have USA’s natural resources). China is not out of the woods, nor is Russia. China and Russia are both growing their economies and that growth is dependent upon currency stability in the world (that is also dependent upon openness and honesty about a country’s genuine assets in relation to debts). While no nation likes its indebtedness, all of them are dependent upon worldwide trade, and none want to fall through the cracks (or slip downhill again) by a world-wide currency crisis. Now may be the time for a gesture (as a form of punishment against a country (us) that has crossed the indebtedness line), but it is likely not the time for a change in World Reserve Currency Status that could lead to zero trade with many countries that nations have grown dependent upon to boost their own economies. China cancelled a bunch of trade orders recently while working through some weaknesses in its economy. Third, the most economically healthy countries have found and developed commodity resources (e.g., oil, gold, food, technology) that have strengthened their economies. But guess what happened in N. Dakota in 2013/2014? It accomplished producing 1-million barrels of oil in one year, with measured-estimated reserves of 500-million barrels of oil remaining (e.g., the ability to produce a million barrels a day for 100+ years). That places (just) North Dakota as equivalently large as the 6th largest OPEC nation in the world (Ecuador). And USA has plenty of other fuel rich states (oil, natural gas, etc.) along with the technology to get it out of the ground and ship it in and out of the country and probably with greater expediency (and lesser cost) than any other country. 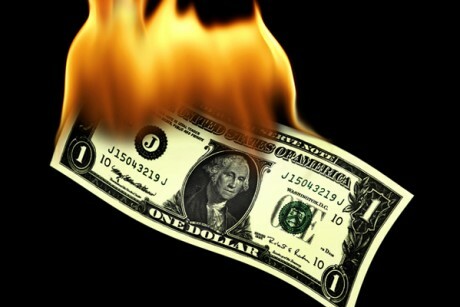 The US Dollar will not cease being “a petro-dollar” for the next 100+ years. So what if other nations don’t like our “paper-presidents”; they can trade (back to us) their gold for our petrol. We can change the rules too. We don’t have to accept paper from countries that refuse our paper. The US debt may level the playing field among other super powers, for awhile; but when USA has 100 years+ of Petro worth trillions of dollars, it becomes very uncertain whether our current level of indebtedness will last and worsen in the long run. Fourth. Even if Russia never again needed USA as a trade partner (having access in its own resources, and those of its trade partners for everything it would ever need), and even if other countries responded similarly, would they abandon trade with USA, whose citizens probably buy more products (per citizen per year) than any country in the world? Every trade needs a buyer; and the biggest Traders access the biggest Buyers. Our national debt is highly related (counted in millions/billions) to buying more foreign goods than we make for ourselves. What nation actually wants to stop that??? If anyone wants to stop or curb this, we (USA) do. radarphos, thanks for the very insightful and thought out comments. Keep em coming!